Ladies, lets face it. It can be tough to know what to buy for men. 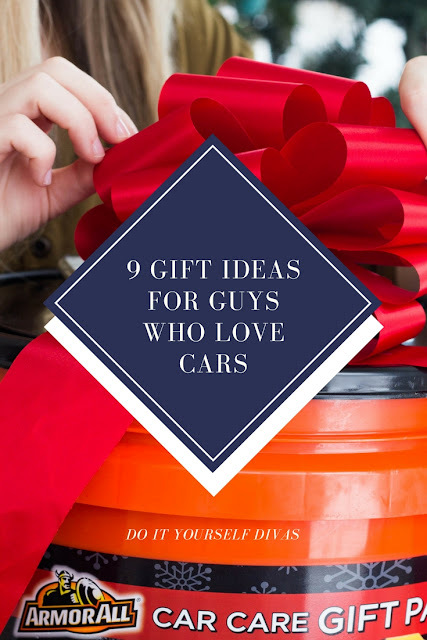 But, if he's a car lover, you're in luck because I've rounded up my top 9 gift ideas - just for him. 1. 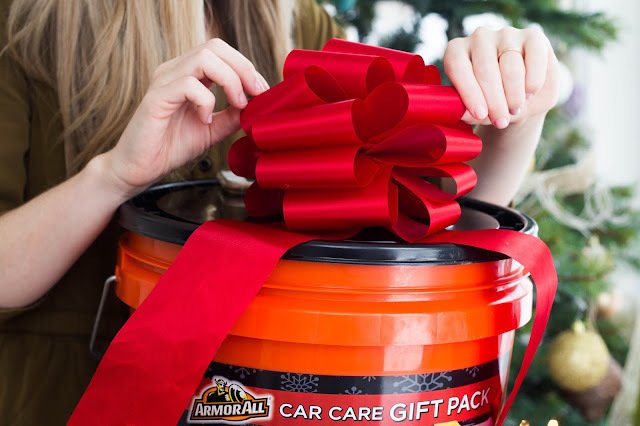 The Armor All Car Car Gift Pack. It's a bucket of car detailing goodies. I've bought this twice for my husband for Christmas, and each time he simply loves it! My favorite part about it is that it's only $20. Score! You can read more about it in this post. 2. BlueDriver Bluetooth Professional OBDII Scan Tool for iPhone and Android. My car guy loves to know what's going on inside his car. This box pulls up a bunch codes right to his phone so he can know what's wrong with his car. Just, go read all about it on Amazon. It's SO COOL! 3. Driving Gloves. Every winter, my man pulls out the driving gloves. I can't tell if he uses them for warmth or if he thinks they just look and feel good. Either way, they make him happy. 4. Lets talk gadgets. My husband really loves his USB Car Charger. He mainly uses it to charge his phone, but there are many more things this little sucker can charge up. 5. Another cool gadget is the 5 in 1 digital tire pressure gauge. This small tool eliminates the guess work when it comes to checking tire pressure (that's what I love about it). It even lights up for nighttime use. It includes a seatbelt cutter, a hammer to break the window, an LED flashlight, and a red safety light. It's small size makes it a perfect stocking stuffer! Trust me, I've done it. 6. As a wife and mother of 4, I want my man to be safe and prepared each morning when he leaves the house. So, if that cool tire pressure gauge wasn't enough, we are also big fans of the multi-function car jump starter that can also power up your phone or laptop. 7. No more freaking out about shoes marks on the back of your seat when the littles come along for a ride. True story, my husband actually put t-shirts and aprons over our leather seats to keep them clean. I told him it was way too tacky, and that these kick mats would do the trick! 8. Keep that car dent free with the laser parking assist. It helps you know exactly how far into the garage you need to be, without going too far ;). 9. And for a little entertainment, both my husband and I are obsessed with Top Gear. The show hosts are entertaining, and the cinematography is to die for in some of the episodes. 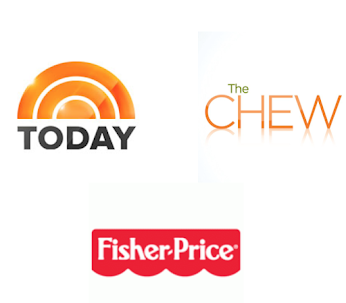 Plus, it's fun to watch movie stars get behind the wheel. So ladies, I'm sure you can't go wrong with any of the gift ideas for your "hard to buy for" man. Wishing you all a very Merry Christmas, and a Happy New Year!